Established in 1996, the University of the Sunshine Coast has experienced rapid growth with research in a concerted area of expansion, and continues to build research productivity and output through strategic partnerships and collaboration. A key strategy is fostering productive research partnerships with major stakeholders in the research community, such as universities, research organisations, government agencies, industry and business. Our focus is strategic research aimed at generating outcomes of benefit to the wider community.  The Commonwealth is funding research capacity building through the Collaborative Research Network (CRN) Program. USC has received $5.4m for the USC Research Futures Project to build collaborations with Griffith University and the University of Tasmania in the areas of aquaculture, forest sciences, sustainability and water sciences. Research at USC is currently focused in applied genetics in primary production and regional sustainability. The Sustainability Research Centre has an emphasis on sustainable communities and sustainable environments, and is committed to research that supports the transformation of society towards sustainability. The Sustainability Research Centre is a research concentration within the broad range of academic fields and disciplines in the Faculty of Arts and Business. The GeneCology Research Group operates in the areas of genetics, ecology, genomics and physiology. The Group conducts research in the sustainable production of aquaculture, horticulture and forestry systems, biodiversity conservation and sustainable urban forestry and horticulture. The Genecology Research Group forms one of the research areas of strength within the Faculty of Science, Health, Education and Engineering. In keeping with its strategic research mission to build research capacity, the University is in the process of establishing new research clusters and centres to be announced in late 2012. University of the Sunshine Coast has 22 data records in Research Data Australia, which cover 188 subjects areas including BIOLOGICAL SCIENCES, ECOLOGY and PLANT BIOLOGY and involve 2 group(s). All of the information provided by University of the Sunshine Coast can be accessed from the box on the right hand side of this page. The University of the Sunshine Coast Library will publish available research data on behalf of researchers in Research Data Australia, and research publications in the USC Research Bank, the institutional repository.